Driving a little over two hundred miles north from the Gross Morn area takes you to, as someone else told me, “the land good weather forgot.” The trees, which are by no means tough and sturdy on the south end of the island, become gnarled, stumpy things bent over backwards by the constant salt winds. The population thins out too but there are enough little encampments of people to support a few tiny grocery stores, some motels, and gas stations. St. Anthony, which rests at the top of the peninsula and served as a hub for Canadian-U.S. military radar installations during the Cold War, is noticeably larger but still possesses that stark frontier feel. Polar bears come in late Spring and are sometimes tranquilized and brought back to Labrador when they wear out their welcome (and for that reason we were very polite to everyone we met). 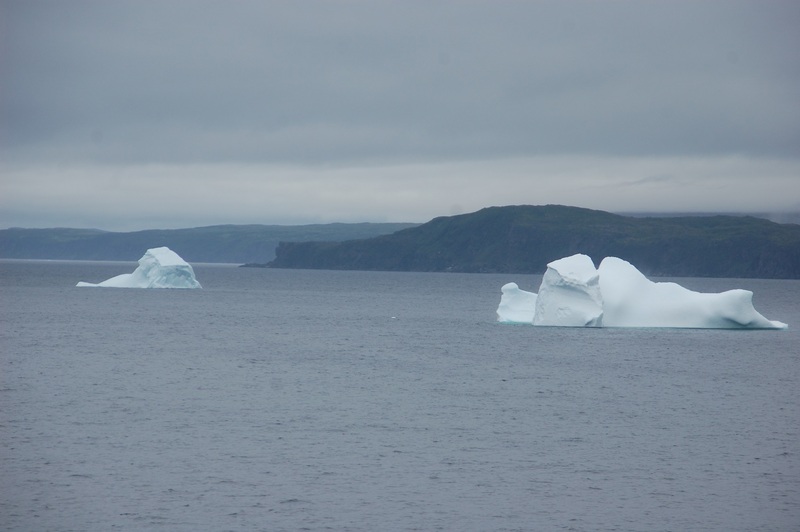 Lucky for us there were a few icebergs in nearby Goose Cove to gawk at. 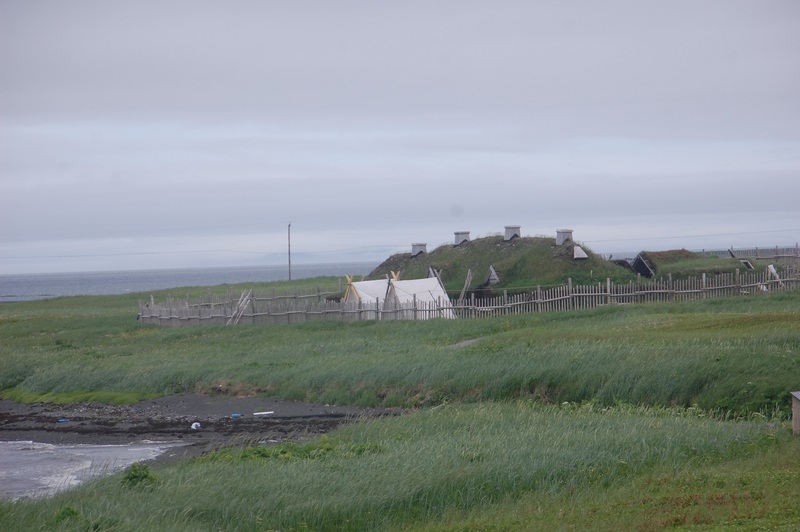 But the main attraction was L’Anse Aux Meadows and it did not at all disappoint. 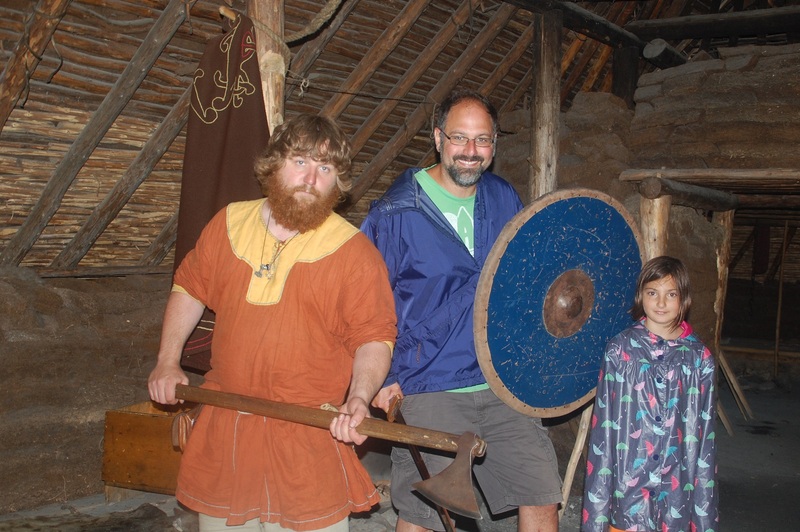 The Norse (and that is a more accurate descriptor than Viking) landed in North America four hundred prior to Christopher Columbus. 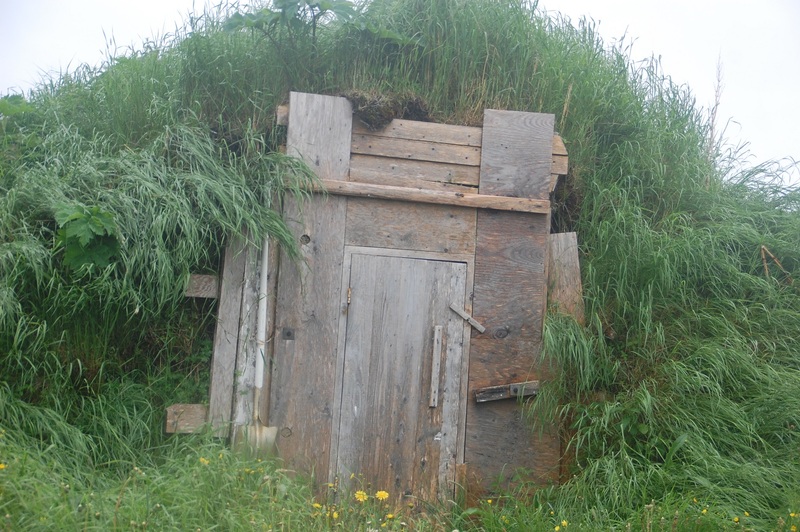 We know that for sure because they left their mark near the town of L’Anse Aux Meadows. Excavated there was the imprint of their homes along with a ring, some nails, evidence of a smelt ironing operation, and a few other artifacts. There also were several butter nuts and butter nut wood remnants which are not found anywhere on the island (but are, along with grapes, plentiful in New Brunswick and Quebec). Much of what they found fits in neatly to the sagas recorded by Irish monks some two hundred years later. No bodies were recovered in the meadow, but by the year 1000 (and that is the year carbon dating suggests) they were Christians. They would have boiled or otherwise separated the bodies from the bone and then taken the skeleton to consecrated grounds (like there is in Greenland where a European was found buried with an arrow head near his chest that may have been worn as an ornament or could have been more forcibly put there). 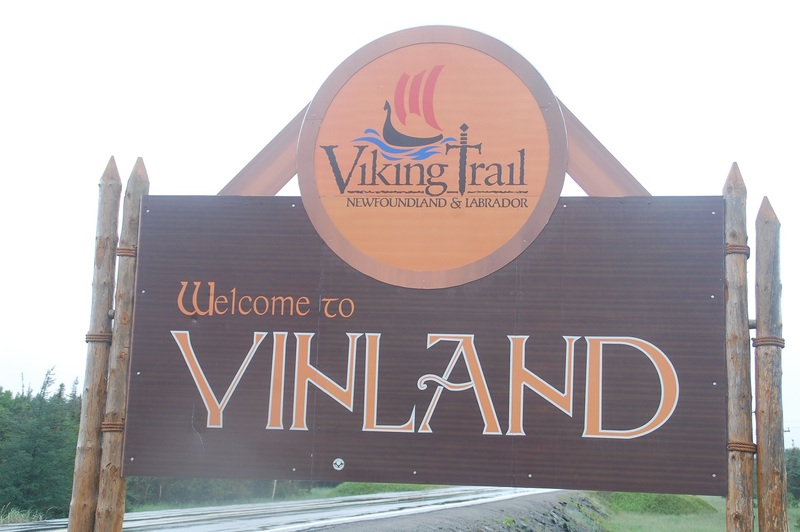 This entry was posted in 2014 Summer Trip: The Viking Within and tagged L'Aux Anse Meadows, Newfoundland, St. Anthony by hennacornoelidays. Bookmark the permalink.